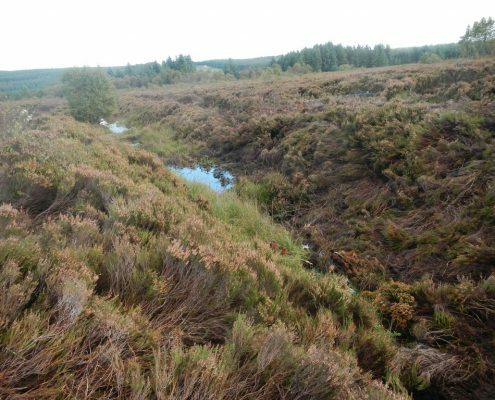 Conservefor are a specialist peatland restoration contractor having successfully completed many peatland restoration contracts across the UK. 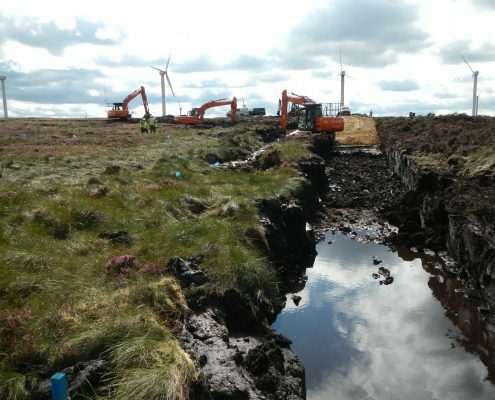 This experience has enabled our team to develop specialist peatland restoration techniques to aid the recovery of badly damaged peatlands. We offer professional advice and support service and we can deliver projects to meet your needs and aspiration for the site. We believe that every site is different and the chosen method of restoration is important to ensure successful results. 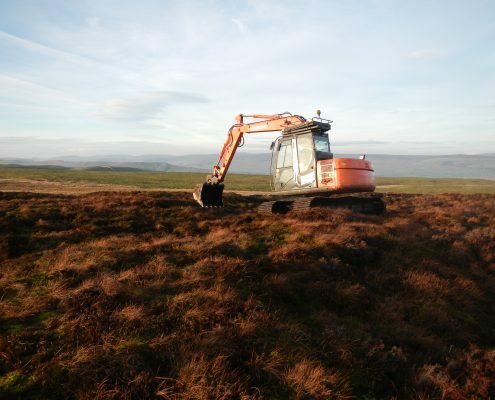 As a peatland restoration contractor, we have specialist plant and machinery available to our company which enables our team to make decisions based on what’s best for the site not on what equipment we have. During restoration work we want to protect the existing habitat and only target the damaged areas, a light touch approach. We want to protect this valuable habitat and the ecosystem which it provides. Restored active peatlands is what we want to achieve and Conservefor Ltd will help to deliver the government’s biodiversity objectives. 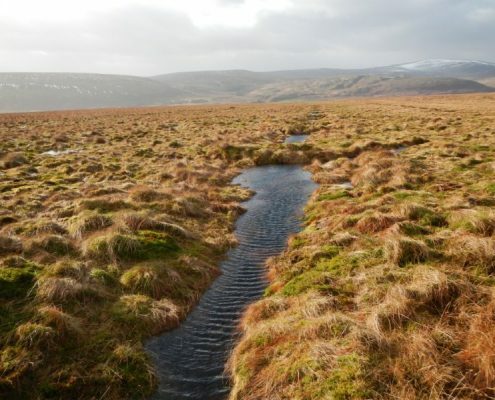 Peatlands store carbon within their plant communities and soil instead of releasing it to the atmosphere as carbon dioxide. 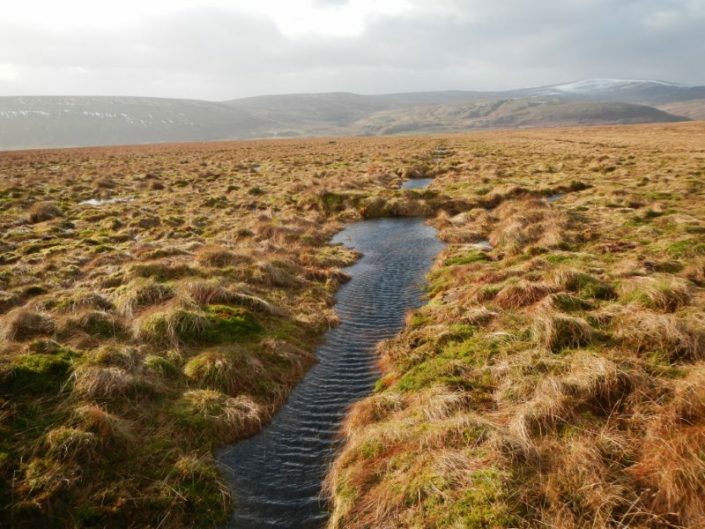 Therefore peatlands help to moderate global climate conditions. Our techniques, professional attitude, commitment and work ethic ensure quality and best value. Sensitive translocation of the acrotelm and catotelm layers of peat from donor site to the receptor site. 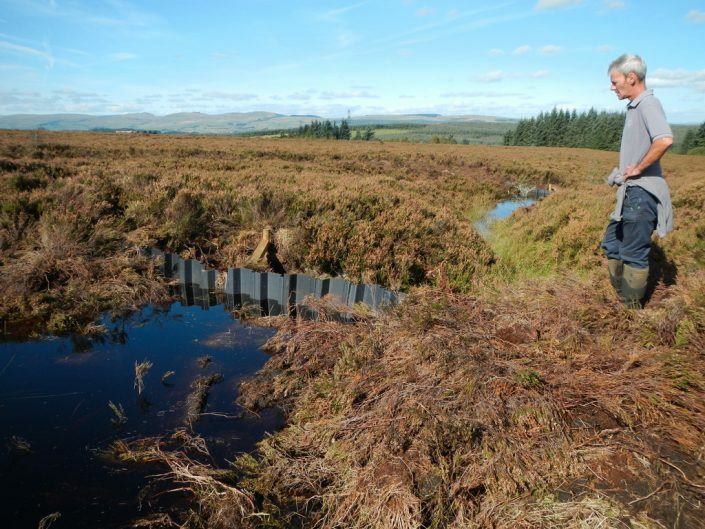 Installation of peat dams to block manmade drainage channels across peatlands to enable re-wetting of blanket bog. 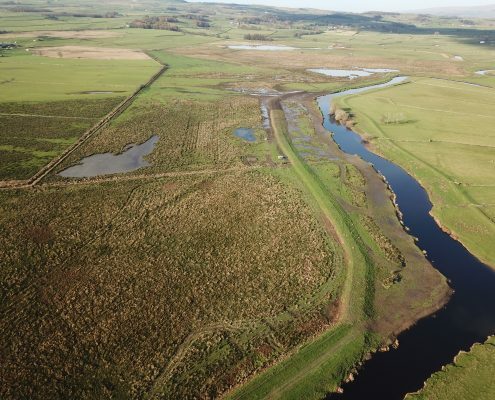 Stabilisation and re-vegetation of the eroding gully drip edge and blocking channel with stone dams, plastic piles or peat dams. 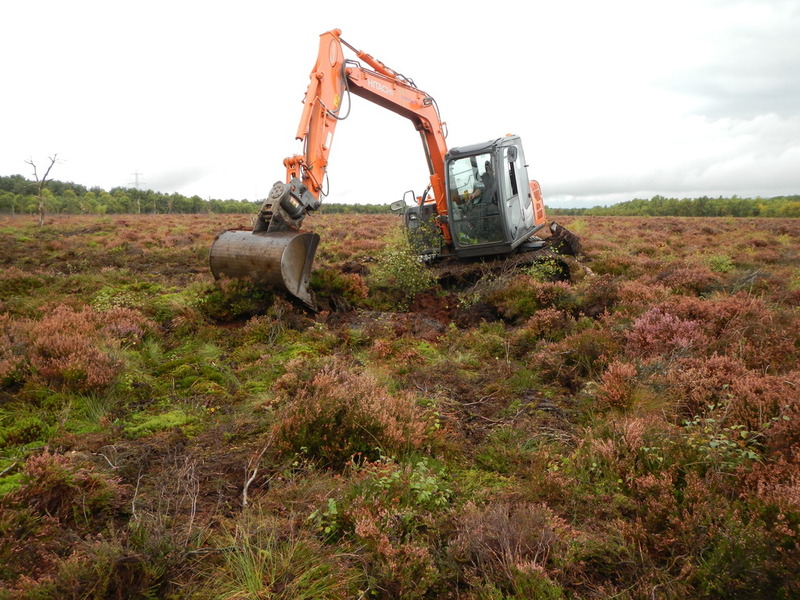 Source suitable donor sites, gain consent, cut & supply and application of double chopped heather brash. Source suitable donor sites, gain consent, harvest identified bog forming sphagnum species, transport & plant. Supply, delivery and hand planting of various species of peatland plug plants eg Empetrum nigrum (Crowberry) & Eriophorum angustifolium (Common cotton Grass). Supply and application of lime, moorland seed mixture & fertilizer to encourage recolonization of bare peat. 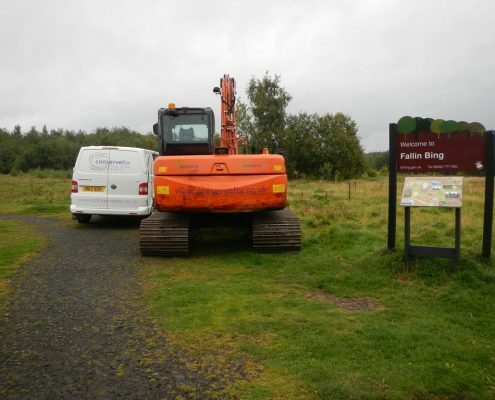 Source suitable donor sites (disease & pest free), gain Natural England & land owner consent, cut, bale, supply and installation. Supply and installation of geojute matting on re-profiled peat hags, gully drip-edges & bare areas.